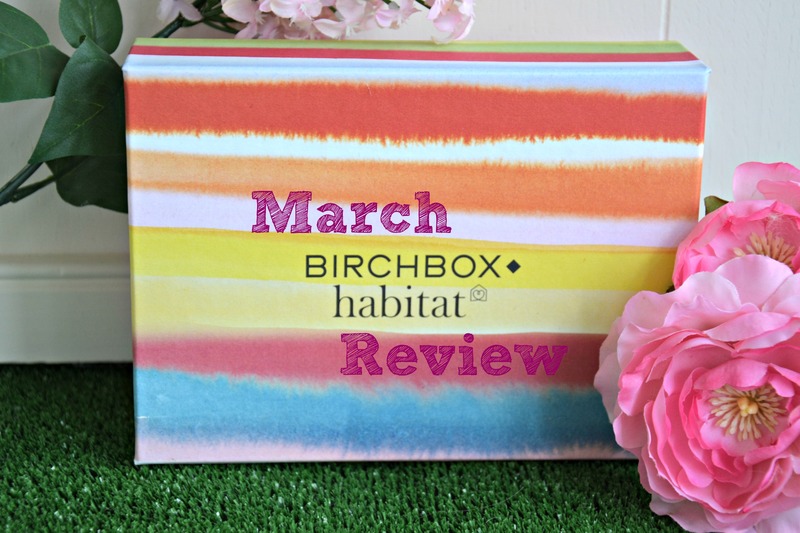 The box itself was a really pretty one this month, I love it when the box features a collaboration and this time it was with home style brand Habitat. Jessie always ends up keeping my empty Birchboxes to put her bits and pieces in so she was very happy to get her hands on another pretty box! The second thing in my box was a perfume. 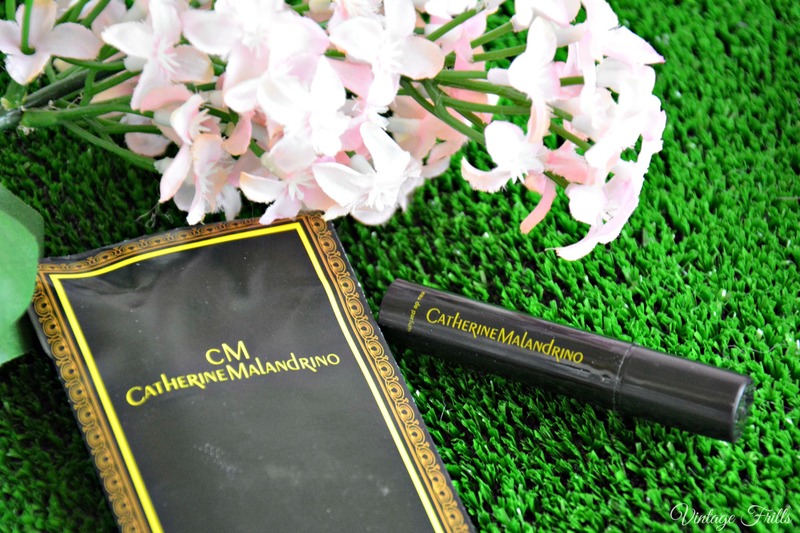 Style de Paris by Catherine Malandrino is a fun and very sophisticated fragrance. I absolutely love old fashioned classic scents and this one was just perfect for me. It’s the perfect accompaniment to a classy vintage outfit and I’ve had it in my handbag for a couple of weeks. The scent is pretty strong and lasts all day. This one was a definite favourite for me. The full size product is available from £50. 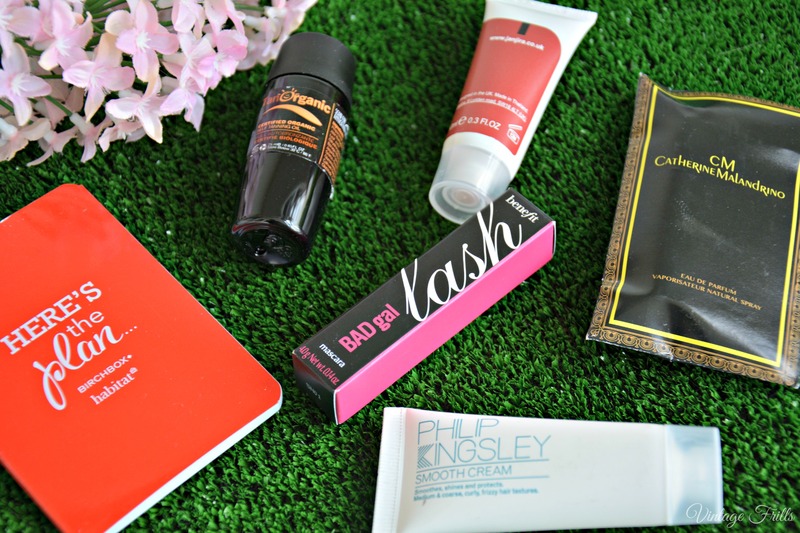 I’ve tried a lot of Philip Kingsley hair products through Birchbox, so far I’ve really enjoyed using all of them. 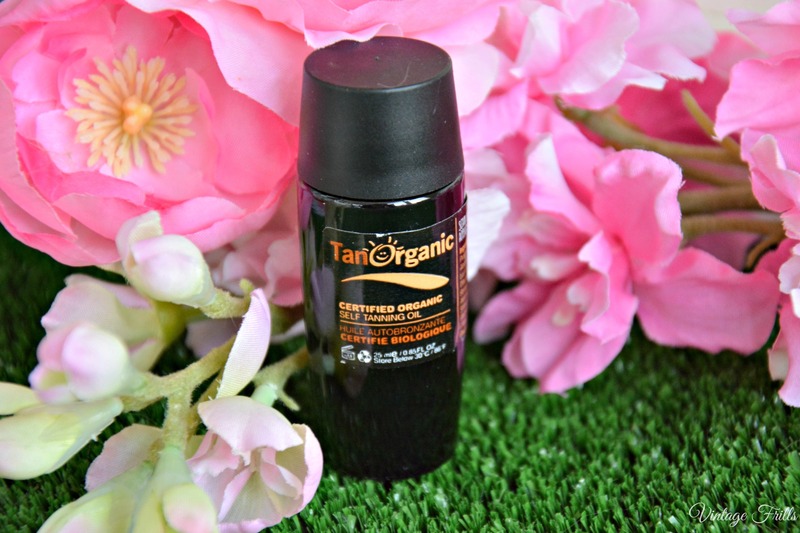 This smoothing cream is perfect for keeping frizz and flyaway under control. Now I have shorter hair it’s really important to me to keep it looking smooth and sleek especially at it’s naturally wavy and prone to frizz. 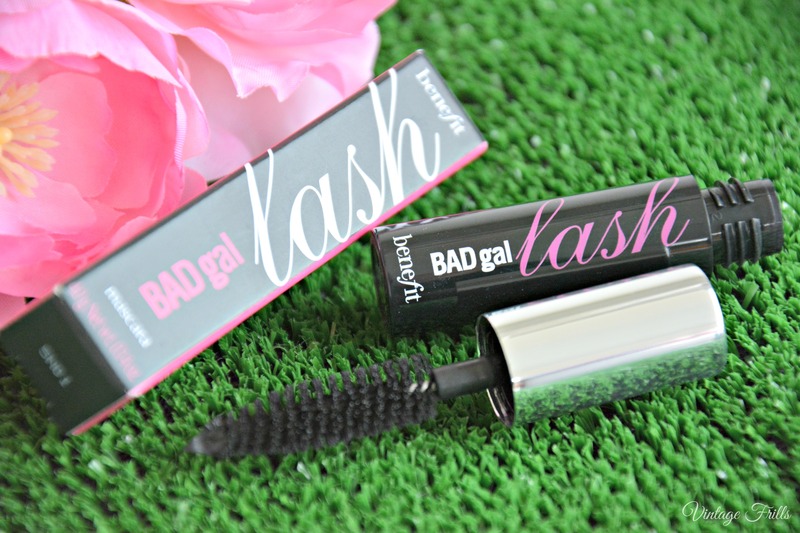 This product was great and I found I only needed to use a little, so even the sample size will last me a long time. The full size product is £18. I’m really into skincare at the moment, I’ve been wearing less make-up and using more products to keep my skin in perfect condition. It’s probably because I’m merely months away from the big 3-0 so I’ve suddenly started panicking about keeping my skin looking good. So I was really happy to get the Janjira Pomegranate and Acai Cleanser in the box. This lovely cleanser smells lovely and left my skin feeling really clean and soft. The full size cleanser costs £24. Also included was a sample of the new Penny Vincenzi book which I’ve not had a chance to read yet and a handy Habitat notebook which I’m keeping in my handbag to jot down blog ideas. 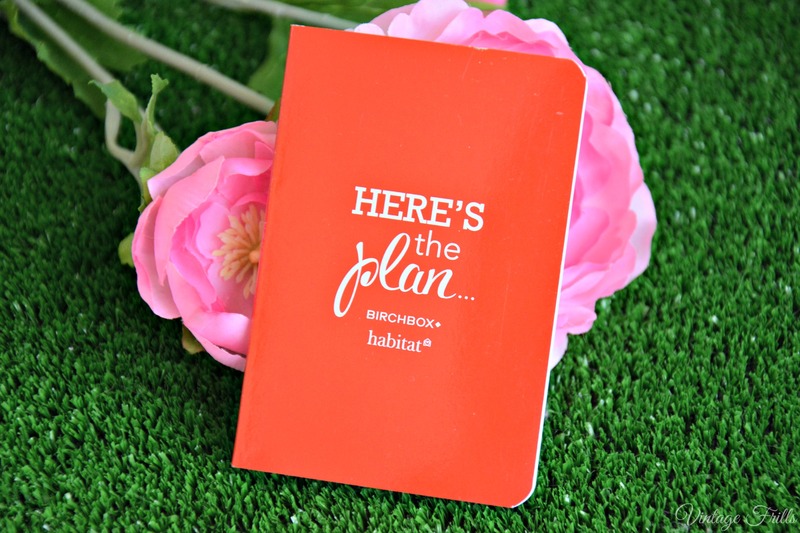 There was also a 25% off Habitat voucher as well as lot’s of handy tips in the booklet which comes with every months box. I was really happy with this months box, which had a great selection of products, I’m really looking forward to getting April’s box in a few days. What did you think of the contents of this months box? If you’d like to sign up for Birchbox yourself I have a refer a friend link which will give you 50 points (£5) to spend in the Birchbox shop when you sign up. You can find out more or sign up for Birchbox here. Ooohh, I adore old-fashioned scents (and beauty products in general), too. A lot of modern scents are too cloying for my taste or they just smell cheap (as in inexpensive) and are apt to evaporate quickly. I don’t find that to be the case with a lot of the older scents I’ve tried, if only at perfume counters, and wish that more scent company would take a page from the past. 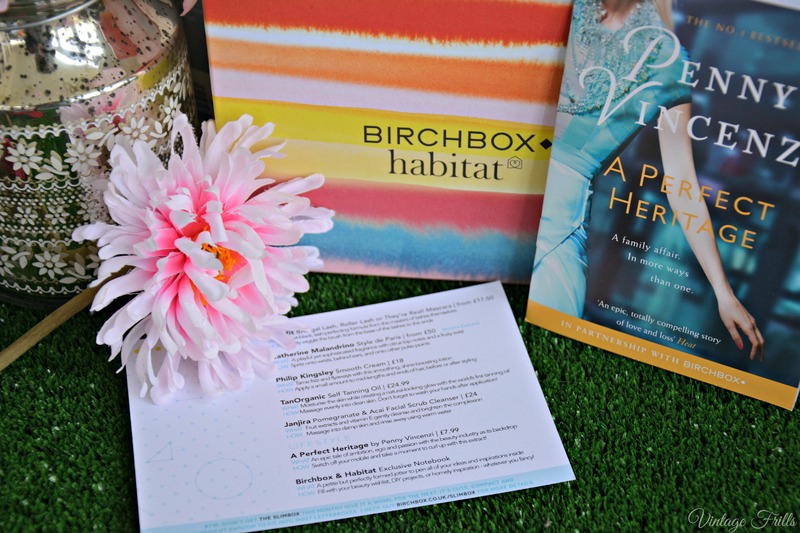 This box looks great, as Birchbox’s offerings always do to me. I hope you enjoy all of these products, dear gal.